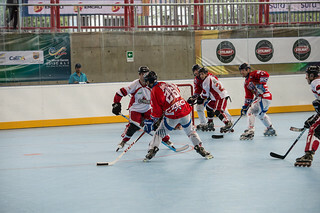 Inline hockey is similar to ice hockey, from which it is derived in the late 1980s. 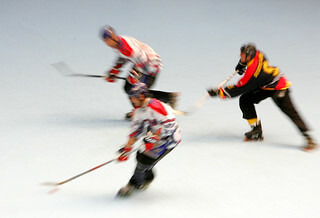 The game is played by two teams consisting of four skaters and one goalie on a dry rink divided into two halves by a center line, and with one protective net at each end of the rink. 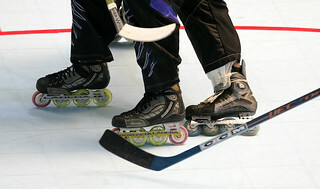 Beyond the obvious differences between ice and inline skates, there are a few other things setting inline apart from the game on ice. 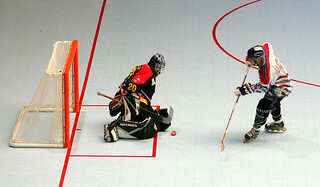 Inline hockey is played as a non-checking sport. 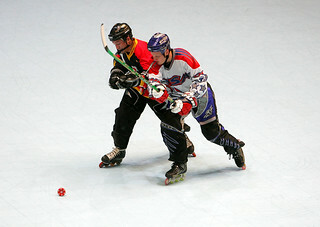 Contact is allowed, but only when aiming to play the puck. 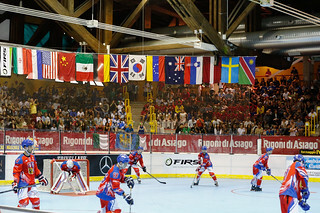 Players tend to have more time on the puck, and the game is more free flowing.